What types of purchase orders do you fund? What transactions do not qualify for purchase order financing? 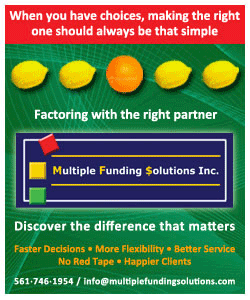 When should purchase order funding be used? What minimum gross profit margin should the purchase order have? What types of companies should use purchase order funding? Can a manufacturer use purchase order funding if they do not have experience in manufacturing the product? 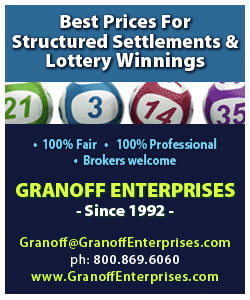 Is a personal guarantee required to obtain purchase order financing? How important are the financials of my company and its principals in obtaining purchase order financing? My bank already has a lien on all my receivables. Can purchase order funding be gotten in this situation? What transaction size can be considered for purchase order funding? How much will the funder advance on the purchase order? How is the purchase order funding advance paid back? What documents will the funder need to see as part of the application for purchase order funding? Purchase order financing (a.k.a. purchase order funding, PO financing, and PO funding) allows your company to purchase goods from your supplier or fund manufacturing of product to complete an order to your company from a creditworthy customer when you lack the working capital to do so on your own. The order may be for finished goods that you acquire from a domestic or foreign supplier, and then deliver to your customer. The order can also be for goods that require some amount of manufacturing or repackaging before being delivered to your customer. By being able to complete the order you maintain the relationship with your customer and have the opportunity to receive future orders (and profits) from that customer. There are 3 types of purchase orders. They are listed in increasing degree of difficulty for obtaining purchase order funding. For the last two the financial strength of your company and experience of your company in doing the manufacturing or repackaging are very important. For the last two, your company cannot have negative equity. Purchase order funding should be used only when most other forms of financing have been exhausted. For example, the following options have been considered but cannot be used for reasons shown. A minimum gross profit margin of 30 percent on transactions in which purchase order funding is being considered. It may be possible to do purchase order financing on lower margin transactions, but a contribution from your company may also be required to complete the transaction. You should determine if the transaction will still be profitable after paying the purchase order and accounts receivable financing fees involved in purchase order financing. The following types of companies that are selling to a creditworthy customer can use purchase order funding. Maybe. It may be possible for a manufacturer to obtain purchase order funding if they subcontract the manufacturing of the product to a company with experience in manufacturing that type of product. Yes. A personal guarantee is always required to obtain purchase order financing. Some underwriters will request a personal financial statement to determine if the personal guarantee could be fulfilled if necessary. The importance of the financials of the company and its principals increases as the risk of satisfying the purchase order increases. For example, your company cannot be in danger of becoming insolvent during the term of the purchase order. The amount and complexity of the manufacturing required to deliver the product increases the risk that the purchase order will not be satisfied. Therefore, the financial strength of the company and its principals together with experience of the company in satisfying similar purchase orders becomes more important when deciding to approve a purchase order financing request. Maybe. It will be necessary to obtain a subordination agreement with your bank on that portion of the receivables generated as a result of the purchase order funding transaction. 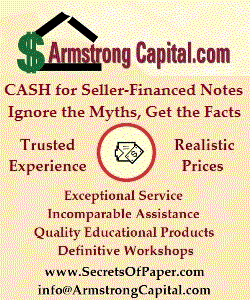 Depending on the funding source, the range for standalone purchase order transactions is about $100,000 to $2,000,000. The minimum for recurring purchase order transactions is about $50,000 per month. The purchase order funding advance may be paid back in the following ways. The following documents will need to be provided along with a completed application form.